​The recently-mentioned stream with Tyler "Ninja" Blevins and rap megastar Drake actually took place Wednesday night after days back and forth between the two, and it was as epic as anyone could have imagined. ​​The stream quickly surpassed the record number of concurrents for an individual, previously ​was set at 388,000 by Dr. Disrespect, reaching 635,000 concurrent viewers. 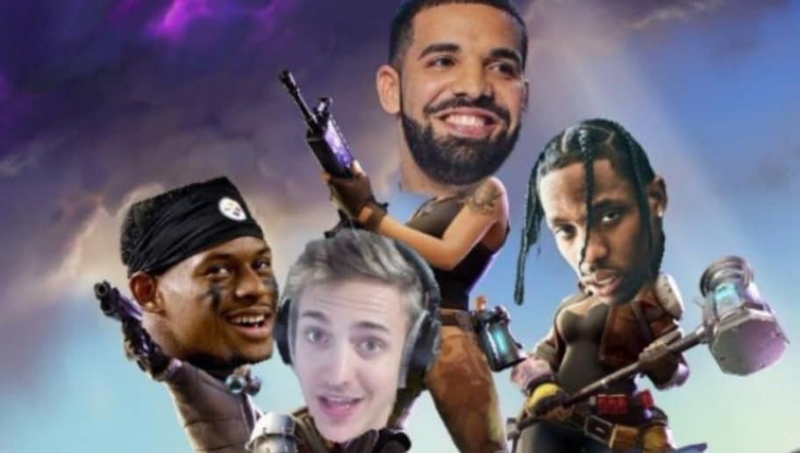 Drake and Ninja played some duos to begin the stream, winning a couple with Ninja leading the charge. The stream quickly captured the attention of many other celebrities who wanted to get into the game as well. The stream cycled through names like KimDotCom, before settling on the squad of Ninja, Drake, rapper Travis Scott and NFL wide receiver JuJu Smith-Schuster. The team ran into connection issues and stream snipers early on but were eventually able to settle in and gain a Victory Royale as the night progressed. The night was filled with memes and hilarious moments. From the frequent references to God's Plan to Drake's insistence on using the bush and Travis Scott's antics, it was a night that would go down in history for multiple reasons. Ninja, the world's most popular streamer ​who has broken records for number of subscribers, made headlines last week when Drake followed him on Instagram. Ninja then ​alluded to a potential stream with the rap megastar. Smith-Schuster, coming off a rookie season with the PIttsburgh Steelers, is no stranger to the game (or esports) either, as he ​has an apparel deal with esports giant FaZe Clan.